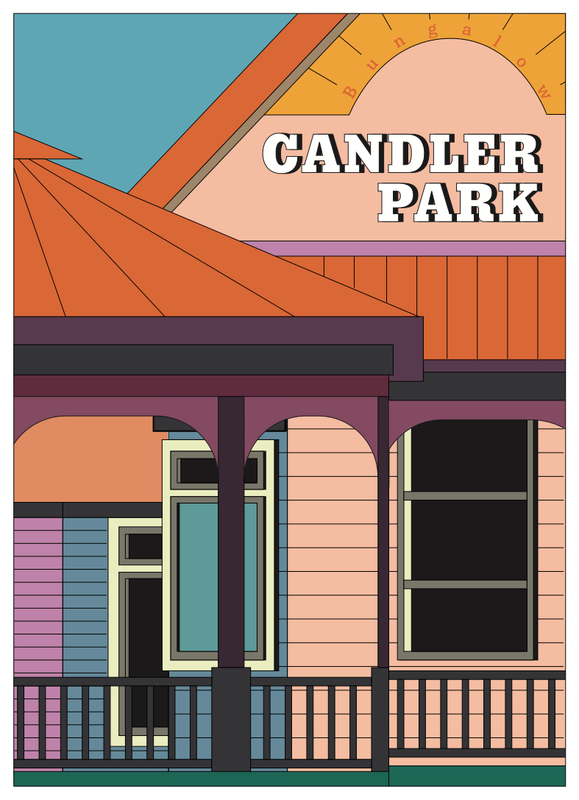 Final postcards of Candler Park. Initial sketches of each postcard done in Procreate on the iPad Pro. These are some variations of my first cleaned up version of the postcard. I decided to maximize the space of the post card with the illustration and placed the type over it. In the final version, I played a bit more with the composition of the type.